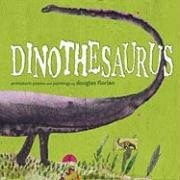 Today is the birthday of Milton Glaser, the premier designer of the past 50 years. 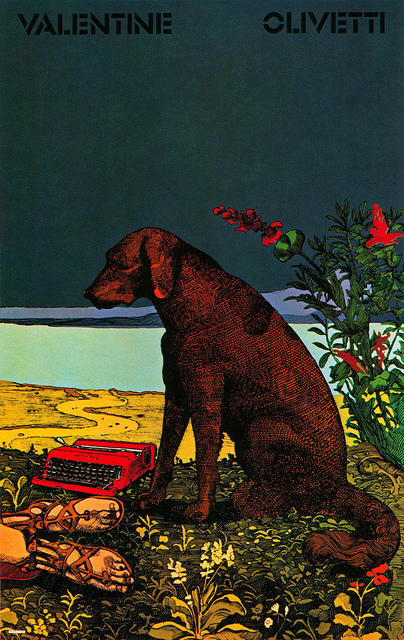 Above is a poster he created for the Olivetti typewriter (How I miss my Olivetti Lettera 32 blue). Glaser doesn't draw like an Italian Renaissance draftsman. He is an Italian Renaissance draftsman. Plus the color (pitch perfect warms and cools), composition (uncanny how only the feet are revealed) and mood (Is the dog mourning the death of its master?) Oh, and look at that beautiful typewriter, which miraculously seems to fit right in, as if Della Francesca himself used one (Didn't he hunt and peck on a red model?) After all, he is a Glaser, a window to another world. Perhaps better know is Glaser's portrait of Bob Dylan, so expressive, simple, and flawlessly, elegantly drawn and colored. 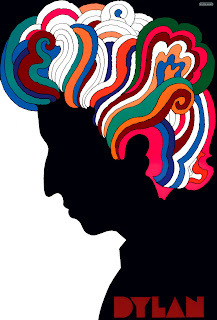 Depicting Dylan with kaleidoscopic hair, it was Glaser's third poster of eventually hundreds and epitomizes the best in graphic art and design in the sixties. It was partly inspired by Marcel Duchamp's B&W self portrait as a silhouette, with a taste of the decorative splendor of Art Nouveau. The typeface Glaser designed himself, and it also displays the "less is more" philosophy. 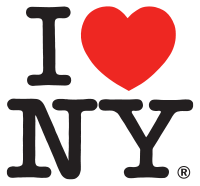 Finally, you know that I Love NY logo? Milton Glaser did that. And so much more. 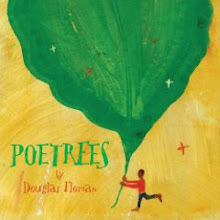 Hello, Douglas, and thanks for joining my blog! I love this image. It's the single most influential image in my life. After college, still undecided about what to do, I saw Milton's monograph in a bookstore. It literally knocked my eyes out. I said, out loud, "THAT'S what I want to do!" And it sort of is (though not nearly as successfully). Thanx for sharing that Judy. 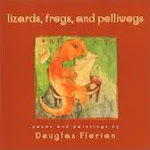 Its a great monograph on a great designer.